What is a Center of Excellence and why do they matter for imaging device repair industry? What qualifies Innovatus Imaging to Lead Industry Standards for Imaging Device Repairs? Engineering, Design, Manufacturing and Quality Compliance Center of Excellence – Processes and Solutions that go beyond traditional services. Why Centers of Excellence for Repairing Imaging Devices Matter. For Imaging Centers. For the Industry. For Patients. Yet Centers of Excellence (COE) focusing on advancing breakthroughs in quality, longevity, and efficiencies for servicing and repairing imaging devices to assure they operate as intended by their original manufacturers have not existed. This report sets forth the processes and standards established as benchmarks of excellence to assure safe and effective repairs that result in device longevity and sustainable repairs. Insights on what to look for from repair suppliers and checklists of criteria biomed purchasers need to consider in order to achieve substantial savings, investment ROI, effectiveness and patient safety are also included. Checklists for building Savings Plans for ultrasound probe repairs, MRI coil repairs, and management of radiography equipment are included in this report. WHAT ARE CENTERS OF EXCELLENCE and WHY DO THEY MATTER? The medical device repair and service industry has historically been self-regulated, which has resulted in a wide range of quality standards. Variances in quality can have a substantial impact on patients and facilities’ operating budgets as lower-quality repairs may result in substandard performance on imaging equipment from which clinicians make life-impacting decisions. Additionally, lower quality repairs may result in more frequent failures, making the high price of low cost services far more expensive over the lifetime of a device and disrupting access to diagnostic services for patients when they need them most. Thorough testing of processes, parts, cleaning agents, and integrity of repairs helps to establish new benchmarks for not just a single organization, but for the entire industry. Private enterprises dedicated to improving integrity of repairs and quality outputs across modalities and brands helps to avoid unnecessary regulations that can create bottlenecks and add costs that thus have to be passed on to clients and ultimately patients. A center of excellence is a team, a shared facility or an entity that provides leadership, best practices, research, support and/or training for a focus area. The focus area might be a technology, a business concept, a skill or a broad area of study. A center of excellence may also be aimed at revitalizing stalled initiatives. A place of high achievement (in some subject or area). 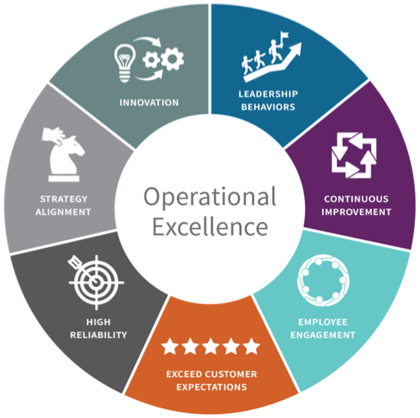 The Swiss organization, Prozessraum, describes the functionality and characteristics of operational Centers of Excellence as organizations that lead with strategic alignment, innovations, continuous improvement initiatives, and deliver high levels of reliability, excellence in deliverables, and continuously exceeding customer expectations. In 2017, three leading companies for the advancement of imaging device repairs – Bayer Multi Vendor Service, Wetsco, and MD MedTech – came together to share resources and knowledge in order to provide a more comprehensive offering of high quality repair services across multiple imaging modalities – ultrasound probe, MRI coil and radiography. Leaders, CEO Dennis Wulf founder of Wetsco and co-founder of MD MedTech; Bill Kollitz, COO coming from Bayer; and CTO Mike LaBree, co-founder of MD MedTech, recognized the need for Centers of Excellence to help advance the medical device repair industry toward a higher standard of repair processes and outcomes, and help lower ownership and operating costs for providers, which in turn increase access and affordability for patients. In July 2018, they reorganized global operations into Centers of Excellence for ultrasound probe repair, MRI coil repair, radiography, and manufacturing with high concentrations of expertise, research, and development focused on improving efficiencies, performance, and advancing design and service standards. All Centers of Excellence quality management systems are ISO-13485:2016 certified, and the manufacturing facility in Denver, CO is FDA registered. This report discusses some of the challenges facing the imaging device repair industry and presents the added values offered by engineering teams at the Centers of Excellence that are enabling hospitals and healthcare facilities globally to lower operating costs, extend the reach of capital expenses, and extend the lifecycle of ultrasound probes, MRI coils, and radiography equipment. Additionally, Innovatus Imaging operates a support and repair center in Maastricht, the Netherlands. Wulf has been instrumental in leading ultrasound probe repair developments for the past 40 years. In the early 1980s, Wulf built his first ultrasound business whereby he helped established protocols to move the industry to a new level. As a result of his success, GE purchased his business. Wulf went on to co-found other ultrasound businesses, including Wetsco in Tulsa, OK. and MD MedTech in Denver, CO which is one of the largest enterprises for ultrasound probe testing and repair. Following are descriptions of the processes and standards across all Centers of Excellence which set Innovatus apart but most importantly set healthcare facilities up for long-lasting repairs resulting in greater access, reliability and safety for patients. Innovatus Imaging Center of Excellence for Ultrasound Probe Repair is founded on a 40-year heritage of leading the industry in quality processes, service and research, leveraging the expertise and vision of Dennis Wulf, CEO; and technical leadership of Mike LaBree, CTO, for Innovatus Imaging. The Center provides best-in-class repair services for all major probe models. Team members are trained to instruct clients how to visually identify common failure points earlier in order to reduce the level of repair required later on. The focus is to preventively identify minor failures before they have an opportunity to affect image quality. This is the value of regular preventative service on ultrasound probes which can result in less down time and lower costs associated with more intense repair needs. For delicate and complex TEE probes, our team members observe and assess the care and handling of the TEE probe from the time it is removed from storage through its use, cleaning/processing and when it is returned to storage. We identify ways clients can improve care and handling to prevent future down time. Additionally, we prevent costly repairs or replacement needs for TEE probes through visual inspection and leakage training. Our ultrasound COE personnel engage in on-site multiple-step extensive processes for evaluating probes for overall performance and quality. Transducers are visually inspected and scan tested using a tissue mimicking phantom. This is useful for helping clients assess and manage their inventory of probes and/or to anticipate future service costs. Custom courses, of varied lengths, can be developed to meet the needs and competency level of any team. Innovatus’ proprietary processes enable technicians to repair even “totaled” probes helping providers avoid costly exchanges and replacements. Currently, Innovatus offers a 100% guaranteed solution on more than 140 probe models through its TotalRepair program which includes a 6-month warranty. To date, Innovatus has provided solutions for more than 1,100 probe models across all major OEM’s including GE, Philips, Siemens, Toshiba and Sonosite. Matt Tomory, VP of Ultrasound, a respected authority on ultrasound probe repair is leading the customer experience and program development. Regardless of promises and qualifications, no supplier can repair any ultrasound probe to OEM specifications and standards for one simple reason: they are not readily available. Innovatus Imaging Center of Excellence for Ultrasound doesn’t strive to discover OEM’s secrets, but rather to restore probes of all makes and models to their original intended performance. Doing this properly involves going beyond traditional repair processes that address just the issue at hand to wholistic approaches that assure all elements of a probe are restored in ways that enable their entire probe to function as intended. In many cases, repairs last longer than expected and as a result increase the overall ROI while lowering cost of ownership due to less frequent repair occurrences. When researching options for ultrasound probe repair partners, consider the following activities that set Centers of Excellence apart to assure you get a repair resulting in not just optimum performance, but one that can withstand the test of time as well. Benchmarking: No one can repair to specifications or standards that are not known. Rather, Innovatus’ engineering teams invest time in researching and testing the functions, parts, and output of new probes to fully characterize each model. Innovatus calls this Gold Standard Testing, and it is used to identify repair processes that will return the probe back to the performance level it was originally intended to achieve, and assure the device is safe and effective for everyday use. Chemical Testing: Instead of just testing the integrity of a repair, COE tests go far deeper to help prevent subsequent damage including damage unrelated to the original repair. Innovatus’ accelerated chemical testing programs tests numerous manufacturer-recommended cleaning supplies to assure that all aspects of the repair as well as the total device are protected against potential discoloring and accelerated deterioration which can take place from chemicals in even basic cleaning supplies. By taking this extra step, end users can achieve longer life cycles for probes, generating substantial saving against capital expenses and operating costs, and assuring access to diagnostic imaging procedures for patients when needed. Harvesting vs. Building: Many suppliers of probe repairs harvest cables and other parts and use these in the repair process. Many times, these harvested cables have been refurbished, repaired or spliced together multiple times which can result in a short-term fix vs. a long-lasting repair. When devices need frequent repairs, it can result in a shortage of inventory which impacts patient access. To prevent this from happening, Innovatus qualifies the parts used in its repairs to select the part to deliver the best result, whether fabricated under strict processes or harvested. For example, cables are mechanically tested to determine how many times they can bend before they start to lose their performance and quality. Finding out how your supplier qualifies and selects parts is key to knowing if you are paying for a quick-fix or a sustainable repair. Wholistic Testing: Many suppliers promise that “quick-fix” that biomeds are constantly pressured to deliver. However, that usually means that the repair only addresses the immediate need and no further testing is done on the rest of the device to ensure that nothing has been disrupted during the repair process, or that no other hidden issues are present. Allowing for extra time to assess the wholistic nature of a probe often results in longer-lasting repairs and a much lower cost of ownership due to fewer repairs and less downtime for the lifetime of a given probe. Manufacturing: A key distinction of a Center of Excellence is experience with advanced manufacturing processes and applying the mindset from those processes to repair protocols to ensure the highest possible quality. Innovatus operates an FDA registered manufacturing site in Denver, Colorado which invests millions of dollars every year in research to determine better methods that result in greater efficiencies and outcomes for imaging experts and patients. All methodologies resulting from manufacturing design, engineering and testing are applied to repair processes for ultrasound probes and MRI coils, something only a Center of Excellence has the resources and mindset to do. Having a team of engineers with a futurist vision for all steps of the process helps achieve results that many quick-fix technicians simply cannot come close to matching. “We use Innovatus Imaging because they have earned our trust. The quality, performance, customer satisfaction and long-term value is exponentially superior to other vendors we have tried. Utilizing Innovatus, we are confident our probe repairs meet OEM specifications, contain quality parts, and have gone through complete inspection processes before returning to us for use. Our own customer’s echo all of these findings. In their words we only send a probe out once for repair”. Leveraging 30 years of manufacturing and repair expertise, the MRI Center of Excellence maintains a coveted 99% repair rate for all MRI coil makes, models, designs and field strengths. All activities are based on Innovatus’ reverse-engineering repair process ensuring all coils are returned to customers at performance levels equal to OEM equipment. Veteran technicians and engineers have improved processes to generate 40 – 60% savings over OEM exchange pricing. Innovatus’ MRI coil repair program which covers approximately 700 documented repair processes, extended warranties, an unmatched loaner inventory and exchange options, is led by Joseph Habovick, Vice President of MRI. To truly operate as a Center of Excellence, Innovatus’ teams are constantly redefining “excellence” in all areas of coil repair – from inspecting, repairing, testing and more. Cable harnesses: Are raw cables replaced in a coil or are they spliced? Replacing costs more, however the longevity of the repair and extension of the life of the coil more than compensate for the extra money, enabling hospitals to lower their overall cost of ownership. Spliced cables can fail more often as they can separate over time which means more frequent repairs, more down time, and potentially more compromises with performance. Innovatus replaces all raw cable harnesses in lieu of splicing which results in having one of the highest first-time fix rates in the industry. Testing methods: What kinds of methods are used? And are these methods capable of picking up potential hidden electrical issues? Simplistic testing often fails to pick up additional issues affecting the coil’s performance. Innovatus uses modular testing banks which break down the system and tests each section to the component level assuring the whole system is functioning optimally. Source of mechanical parts: Are the mechanical parts used in your repair sourced from soft molding and machining or 3D printing? While 3D printing can increase speed and accessibility, this method of production does not always hold up over time as effectively as molding and machining. Its critical to know how these parts are sourced for your repairs as they can affect the longevity of the repair, and ultimately the cost of ownership and downtime associated with short-term vs. long-term repairs. Inspection process: Does the supplier tear apart the cable or use a less or non-invasive process to inspect the quality and condition of each coil? Procedures at the Innovatus MRI Center of Excellence include the use of an x-ray device to view cabling structures and avoid unnecessary disassembly which can increase the risk of other failures, and extend the time for triage and repair. Foundation of repair processes: What is the experience, research and processes behind the repair? This is perhaps the most critical differentiator in suppliers. Are the technicians backed by decades of experience or basic training backgrounds, and what type of proven testing processes, protocols and simulators are used for quality assurance for the repair and entire unit vs just the element under review or repair? With more than 20 years of manufacturing processes which include research for best-in-class methodology and testing, Innovatus applies some of the most proven processes available today. The Center of Excellence for Radiography Solutions provides imaging departments with support for all radiography needs including film printers, computed radiography, consulting services and a retrofit system for the transition to digital radiography. All products are backed by an industry-leading field service team proficient on Fuji, Agfa and Carestream systems, and maintains a 99% first-time fix rate with mobile inventory. Solutions engineered for best-in-class outcomes include end of life support, disaster recovery and backup, full interface support, CR cassette repair and plate replacement, on-site de-install and reinstall, and networking/connectivity support. The MVi-DR upgrade solution, a software and cassette-sized detector combination, seamlessly integrates and converts conventional x-ray rooms or portable units into digital systems while enhancing efficiencies and versatility. The heritage of the Center of Excellence for Radiography is founded in “excellence” stemming back to its roots as Medrad MVS which became Bayer Multi Vendor Service, one of the founding entities of Innovatus Imaging. The Medrad injector field service team was highly respected for responsiveness and first-time fix rates, and customers eventually requested additional services as a result. Medrad added radiography products to their offerings, creating the foundation for Innovatus Imaging’s suite of dry film printer, CR and DR system offerings. Many of the founding members of the Medrad Field Service Engineering team are still in place today, enabling Innovatus to carry on the legacy of industry-leading technical service, strategic consulting, and responsiveness for digital and analog radiography equipment. This same team of technical engineers has maintained a 99% customer satisfaction rate for field service for more than a decade, partially due to the infrastructure provided as a center of excellence which provides ongoing research and strategic planning services. These services help imaging centers and hospitals of all sizes optimize efficiencies for current equipment and transition to new technology with the least amount of disruption and cost. A primary distinction from other radiography field service teams and those at the Innovatus Center of Excellence for Radiography is that our team members are highly trained specialists who are able to bring a solutions mindset to each situation and provide consultative services vs. just a quick-fix solution to an imminent need. Following are considerations when choosing a long-term partner for radiography equipment. Following are some distinctions offered by the Innovatus Center of Excellence for Radiography. Regardless of who you choose as your partner for your service needs, consider the following capabilities to assure optimum performance and ROI. Software Support: Diagnostic software for Carestream systems. No other third party has this software that helps diagnose problems in order to identify issues quickly and execute resolutions. Calibration: Capable of diagnosis and calibrating equipment seamlessly and quickly in order to keep operations running and ready for patients. Troubleshooting Across OEMs: Troubleshooting for various makes, models and systems. We cover multiple platforms – current OEM systems, end of life products and technology, and have the broad expertise to troubleshoot legacy systems and new technology – whatever you are using. Quality: Our procedures follow rigorous standards and are ISO 13485:2016 certified to provide fast resolution and high-quality outcomes. Lifecycle Management: Partners that can bring years of knowledge vs. just repairs, covering software, hardware and affordable, high quality transitions to DR that enable you to keep up with patient needs without having the disruption and expense of a total room remodel. Minimized Downtime: Following are some key characteristics for reducing downtime to look for when choosing a partner for radiography support. Phone Support – Senior technicians available for first look support and troubleshooting. High track record of phone support that leads to solutions, minimizing downtime by eliminating more time-consuming field visits, or enabling an engineer to show up with the right parts at the right time to get you back up and running fast. Guaranteed Response – Innovatus offers a guaranteed 8-business hour onsite response for contracted clients, and after hours support if needed. Behind all of Innovatus’ teams and programs is the Engineering, Design, Manufacturing and Quality Compliance Center of Excellence which conducts research for its manufacturing of specialty probes, and key projects. This group also teams up with clinical Centers of Excellence and academic health care and research institutions to advance the technology behind all repairs associated with ultrasound probes and MRI coils. Current projects are exploring the use of augmented reality to help clinicians see well beyond the traditional views of past and current technology. In Denver, CO, Innovatus operates an engineering, testing, regulatory compliance and FDA-registered contract manufacturing site. Design, development and testing of specialty products and ultrasound arrays take place in this facility in addition to quality and regulatory activity. Each year, millions of dollars are invested in research and testing to advance quality, new product development, and repair capabilities across Innovatus’ modalities of ultrasound, MRI and radiography. Beyond product repair, engineers are engaged in various R&D projects and partner with multiple OEM’s as well as top tier academic research institutions across the country. Some of the worlds leading imaging brands turn to Innovatus Imaging Engineering and Design and Manufacturing Center of Excellence for specialty probes due to its nimble structure, small volume specialty focus and accelerated levels of testing which ensure optimum quality outcomes for all devices and set new benchmarks for probe quality and endurance. “Our research and development work demand deep knowledge of the engineering, physics, and regulatory processes associated with new medical imaging devices. Applying this know-how and disciplined methodology to the repair industry ensures repaired products that meet OEM design intentions, which ultimately provides safe and effective products that physicians and patients deserve,” says Mike LaBree, Chief Technology Officer for Innovatus and co-founder of the former MD MedTech. Engineering and testing outcomes from this manufacturing arm of Innovatus imaging are applied to the repair processes and protocols for ultrasound probes and MRI coils. Insights and methodology from engineering processes associated with manufacturing new technologies are applied across all modalities to produce a higher level of repairs for increased longevity and potentially fewer repairs, lowering the cost of ownership for any imaging device. Leaders of the Engineering Design Manufacturing and Quality Compliance initiatives and processes bring many years of innovation experience to Innovatus. CTO Mike LaBree and Vice President of Operations, Michael Katzenmeier, continue to identify opportunities associated with invasive medical procedures and develop new technologies that enable clinicians to treat patients in a more timely and efficient manner while minimizing associated risks. An example of their work includes a needle guidance system proven to enable doctors to achieve vascular access quickly in order to treat patients in urgent situations. With quicker accuracy, treatment requires less needle invasions from multiple access attempts which increase the risk of infection and further physiological trauma to patients, as well as costing hospitals millions of dollars. Loaner and Exchange Inventory for seamless repair schedules. Innovatus has an extensive loaner inventory in addition to an exchange option that will reduce scanner down-time and get you back up and running fast! The exchange program is one of the many distinguishers between Innovatus and other suppliers and adds substantial time efficiencies and immediate value for institutions of all sizes. Savings plans vs. short-term offerings. Suppliers that compete on price have to lower their costs in order to maintain margins, and when this happens corners are often cut when it comes to quality assurance. Instead of competing on price, we compete on long-term value. Our repair processes may take a little longer, but they last much longer which means less repairs over the lifecycle of a device, and a substantially lower total cost of ownership. Additionally, our team members are not sales experts, but savings experts and build customized savings plans that align with a facility’s given inventory, repair history, budgets and patient volume. Added values such as strategic planning, savings road maps, volume discounts and more customized to each clients’ inventory, repair histories and budget goals. To discuss a customized savings plan for your business, contact our customer care team to schedule a free consultation with our savings experts at customercare@innovatusimaging.com. You can also call our support team at 844.687.5100. For the past 40 years, Dennis has pioneered new methodologies, techniques and discoveries for more efficient, reliable ultrasound probe repairs. The success of his first endeavor caught the attention of GE who subsequently purchased his company. Dennis then went on to found and operate Wetsco, one of the largest ultrasound repair businesses and facilities nationwide and co-found MD MedTech which focused on manufacturing of specialty probes and research and development of specialty technologies for the device industry. His vision for what the imaging device repair should be impacts not only the competitive advantage for Innovatus Imaging but has helped drive positive and needed change industrywide. Bill’s career spans global marketing and product management for large pharmaceutical and medical device companies. He has held key positions for GlaxoSmithKline and Bayer Healthcare. Bill was instrumental in the planning and execution of merging Bayer Multi Vendor Service, Wetsco and MD MedTech to form Innovatus Imaging. He oversees operations at each of the company’s Centers of Excellence, and drives program development, sales, and partnerships across all modalities, and other key divisions worldwide. As CFO, Xueli relies on his engineering background to help establish financial processes, systems and management to enable Innovatus Imaging to optimize investments and achieve fiscal goals and objectives. Starting his career at Medrad which eventually became part of Bayer Healthcare, Xueli has held various positions including Reliability Engineer, Business Development Manager, and Head of Business Analytics. With experience including Engineering Leader for W. L. Gore & Associates, Mike LaBree brings a long history of innovation and discovery to Innovatus Imaging. His career spans positions with Tetrad, Baxter Corporation and Soma Access Systems. In 2016, he co-founded MD MedTech with Innovatus Imaging CEO Dennis Wulf and helped transition the company to become the technology brand and Center of Excellence for Engineering, Design, Manufacturing and Quality Compliance. His leadership has resulted in the company’s achieving FDA registration for its Denver-based manufacturing center and ISO 13485:2016 certification.